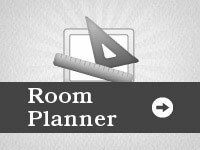 Scan this QR Code with your smart phone to view this page online. 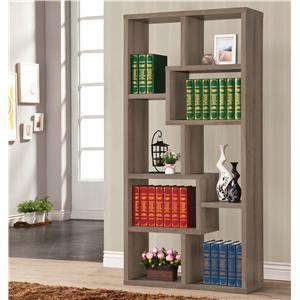 While many of the items in this catalog section of our website are on display in our store and in stock, many items are only available by special order. 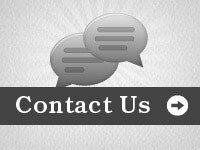 Please contact us for availability and pricing information . 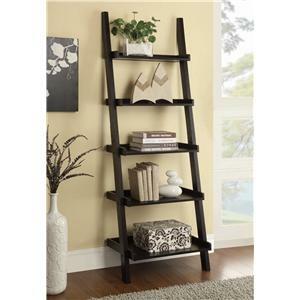 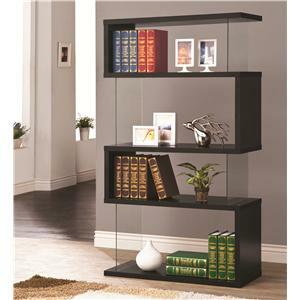 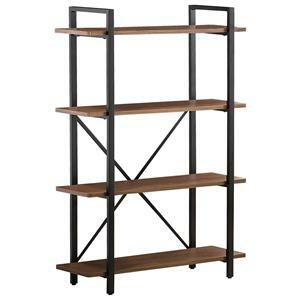 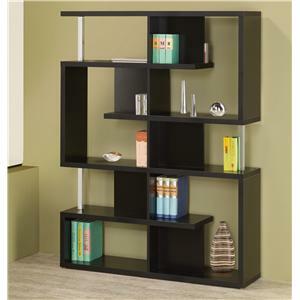 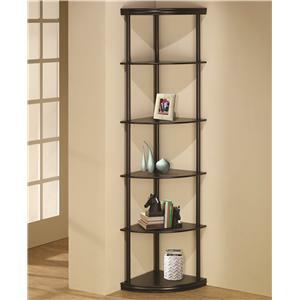 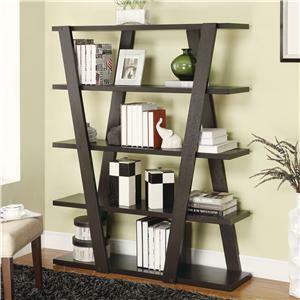 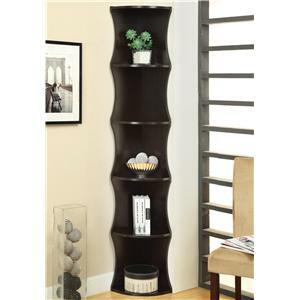 Black finish stands out as shelves snake their way from the top of this rectangular bookcase to the bottom with alternating open ends. 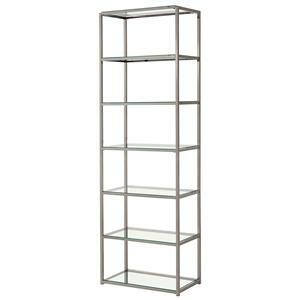 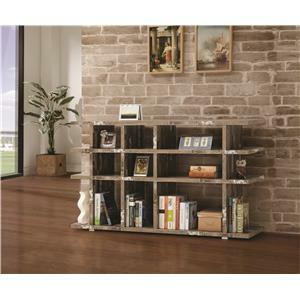 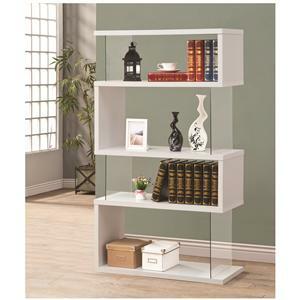 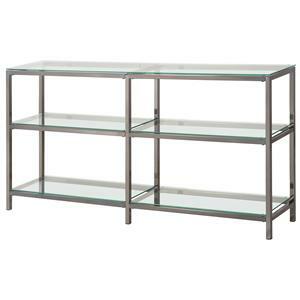 Ends are then supported by glass panels which give this shelving a contemporary look that is sleek and modern. 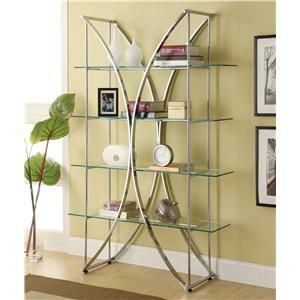 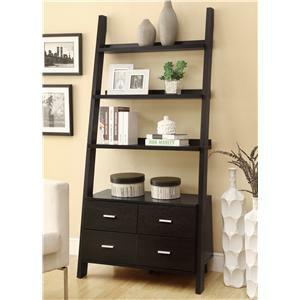 The clean lines make it great for everyday casual room or a more sophisticated space. 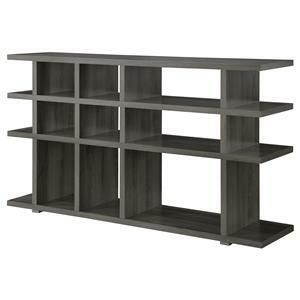 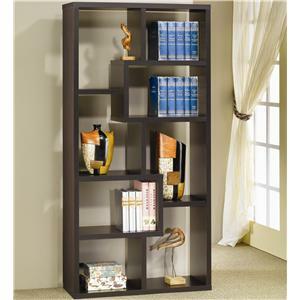 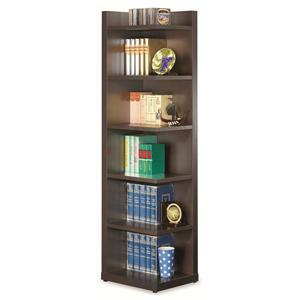 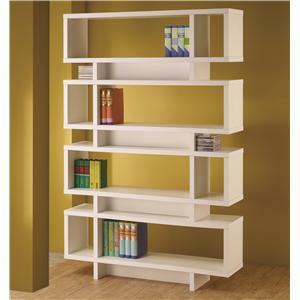 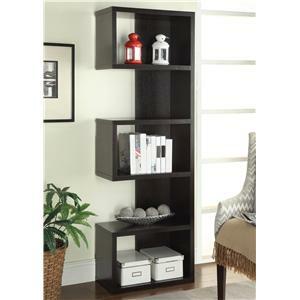 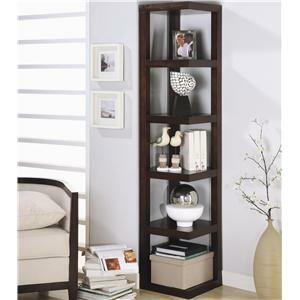 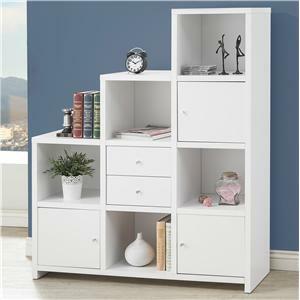 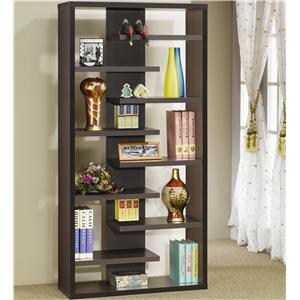 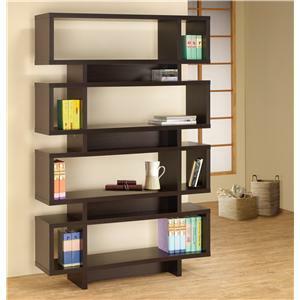 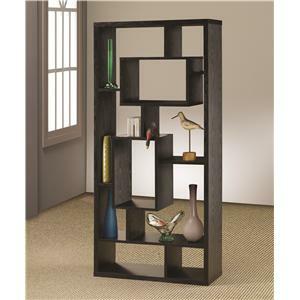 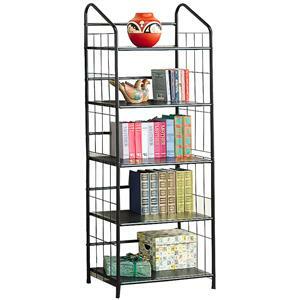 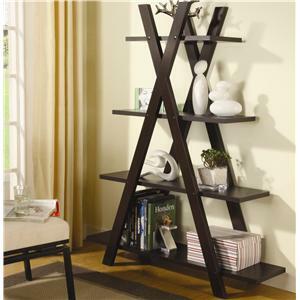 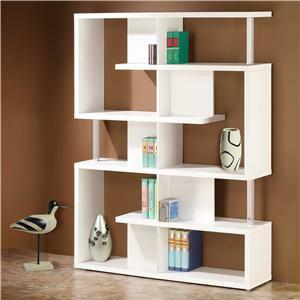 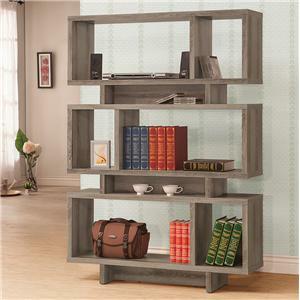 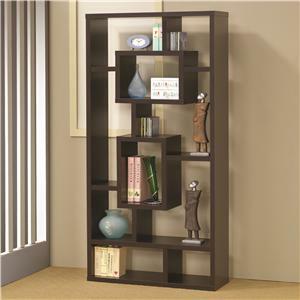 The choice is yours to store valuables, books, or picture frames on this versatile four shelf case. 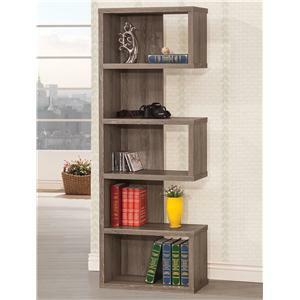 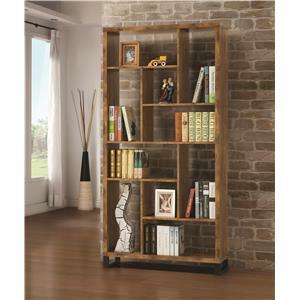 The Bookcases Asymmetrical Snaking Bookshelf by Coaster is available in the Uhaul, Ocean Grove, New Jersey, Monmouth County, Neptune area from Ocean Grove Mattress And Furniture 732-898-9650. 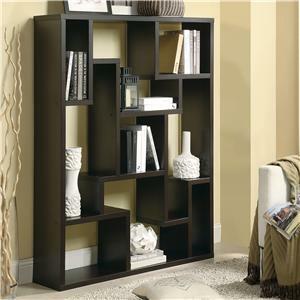 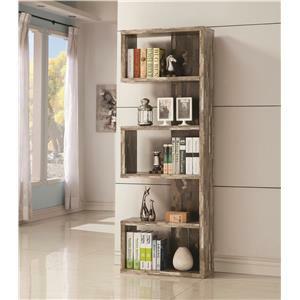 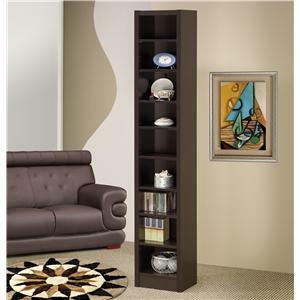 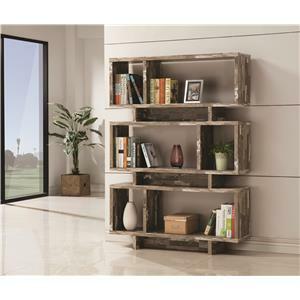 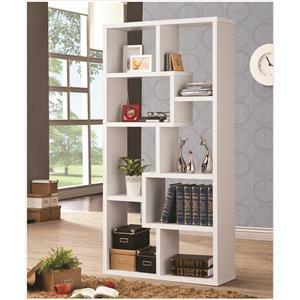 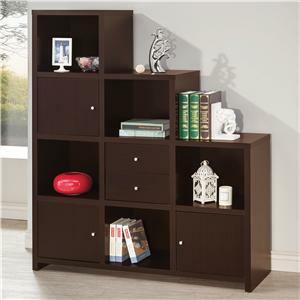 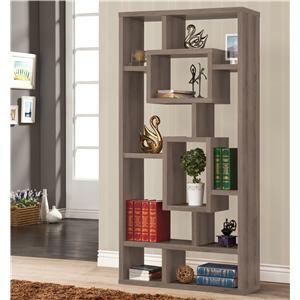 The Bookcases collection is a great option if you are looking for furniture in the Uhaul, Ocean Grove, New Jersey, Monmouth County, Neptune area. 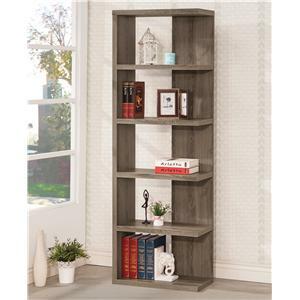 View other items in the Bookcases collection available from Ocean Grove Mattress And Furniture 732-898-9650 in the Uhaul, Ocean Grove, New Jersey, Monmouth County, Neptune area. 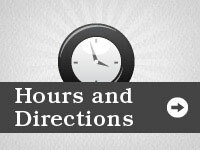 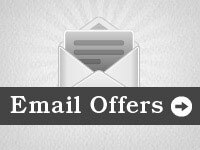 Hi, I'd like to show you this page I found on the Ocean Grove Mattress And Furniture 732-898-9650 website.